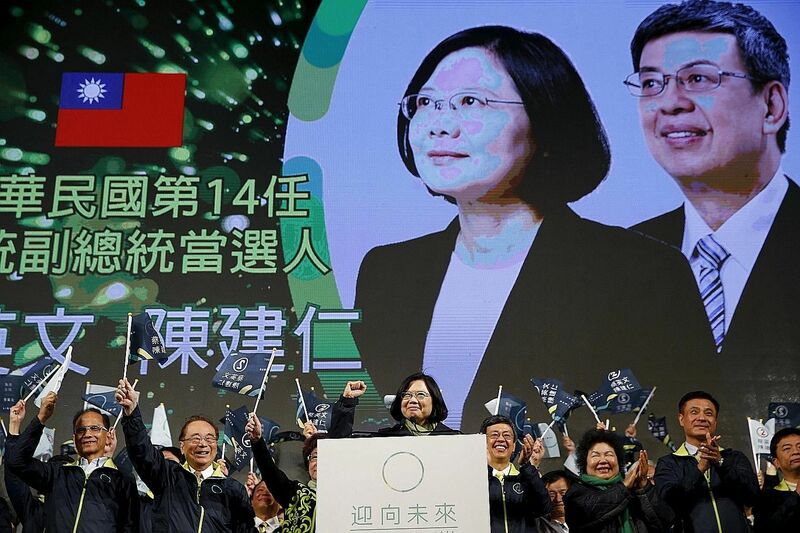 TAIPEI • The resounding landslide win of Democratic Progressive Party (DPP) presidential candidate Tsai Ing-wen has not only successfully swept her into the presidential office, but also promised change as well. However, Ms Tsai and the newly elected legislature must address a solution to the political limbo that awaits them on the other side. A political limbo could occur as this is the first political party transition of the DPP holding both the presidency and legislative majority since the combined presidential-legislative elections began in 2012, resulting in a gridlocked government. This is due to how the new president is sworn into office on May 20, four months after Election Day. In the meantime, President Ma Ying-jeou and the Kuomintang (KMT) would continue to rule, opposed to the newly elected president and legislature. The question is whether or not Mr Ma goes back on his previous promises to support a system where the Cabinet would be determined by the majority party. Many, ranging from pundits and scholars to politicians - such as Taipei City Mayor Ko Wen-je's former campaign head Yao Li-ming - have placed their faith in Mr Ma's past promises, which is unusual, considering Mr Ma's unpopular ratings. The faith is not misplaced, however, since ushering in a peaceful political transition would be ideal for the Ma administration's legacy. Mr Ma should keep his promises and invite the majority party for discussions of a Cabinet reshuffle, stated Professor Wang Yeh-lih of the National Taiwan University in a telephone interview with The China Post. What is of greater concern at present, however, is whether or not Ms Tsai wants to appoint Cabinet members before her inauguration, Prof Wang said, citing remarks made before Election Day in which Ms Tsai indicated a lack of interest in doing so. Constitutional reform cannot wait - Ms Tsai has promised to set up a special task force to ensure a smooth governmental transition. She and the DPP advocate revising a "transitional Bill" towards this effort. However, various versions of the Bill have been boycotted in the past by both political parties, each intent on undermining the other's political agenda. Prof Wang addressed the current ambiguity of Taiwan's "semi-presidential" system, in which the Constitution is not completely realised. According to the Constitution, Taiwan's government should be sub-categorised as a "premier-presidential" system, where the premier and Cabinet are exclusively accountable to the legislature. A political limbo could occur as this is the first political party transition of the DPP holding both the presidency and legislative majority since the combined presidential-legislative elections began in 2012, resulting in a gridlocked government. This is due to how the new president is sworn into office on May 20, four months after Election Day. In reality, Taiwan leans closer to a "presidential-parliamentary" system, where the premier and Cabinet are dually accountable to the president and legislature. Regardless of what measures the new administration would pursue, what is certain is that in order to preserve Taiwan's democracy and keep it from sliding into another political limbo, constitutional reform must continue with both parties setting aside feuding and rivalry. Future constitutional reforms must set in stone the system that Taiwan should adhere to. With Taiwan's young democracy and economic uncertainties arising, the nation is in no position to go through a political standstill after each election. According to statements made by former US secretary of education Richard Riley in an interview with the eJournal USA, a monthly electronic journal issued by the US State Department's Bureau of International Information Programmes, "governing is different from campaigning... you are for the country".